Notes: Each panel has back linen sewn behind and valance sewn on top. So only one curtain rod needed to setup the curtain. 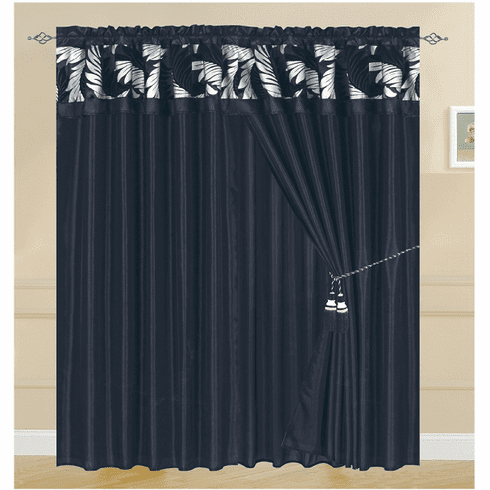 Recommend: One set of curtains will fit a window less than 70" wide or fit two small windows that are less than 40" wide each. Warning: Color may vary from monitor to monitor.